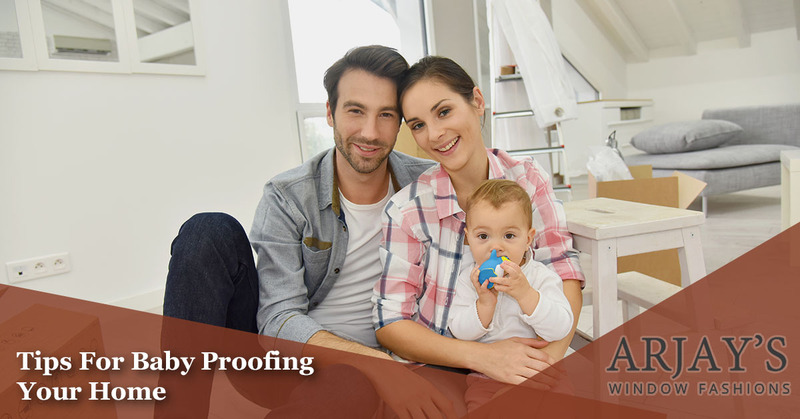 Having a baby can be a fun and exciting time, and as a new parent you may be looking for ways to baby-proof your home. This has become a very popular step for most parents, since a number of injuries can be avoided by investing in child-safe window treatments and covering up any electrical outlets in your home. In this blog, we’ll look at some tips for effectively baby-proofing your home so your little one can roam free without having to worry about household hazards. At Arjay’s Window Fashions in Ventura, we’re proud to be a leading provider of child-safe window coverings throughout California. We understand how scary it can be when children get tangled up in blind or shutter cords, and we offer a wonderful array of window coverings that are safe for young children. Whether you’re looking to install cordless roman shades, cordless cellular shades, or motorized window treatments in your home, we can help! Contact our friendly staff today to schedule your complimentary appointment! According to the National Fire Protection Association, more than 2,400 children are injured from sticking things into electrical outlets each year. That’s almost seven accidents a day! While these outlets can likely be found in every room of your home, there are some ways you can ensure that your little one doesn’t start tampering with the outlets around the house. Take the time to inspect each room in your home for electrical outlets. If you notice any loose electrical wires hanging near a television, printer, or computer, make these unreachable to your little one. Small children tend to get very curious, and if they start tugging and pulling on exposed cords and wires, it could lead to a myriad of issues. Unplug and store any electrical appliances and products when they are not in use. This is especially true for your bathroom, since you likely have thigs like electric shavers, electric blow dryers, and electric flat irons at your fingertips. Invest in electrical outlet caps. These are one of the most affordable and simple solutions to cover up your outlets. Often made of plastic, all you have to do is plug these items into your empty outlets to ensure your child doesn’t stick their fingers or toys into them. Pick up some tamper-proof outlets at your local department store. These outlets feature plastic inside of the outlet prongs, providing a safe barrier between your child and the electric current inside. Did you know that an estimated 4,000 children are treated each and every year for injuries sustained by falling from windows? Luckily, these window-related risks can be minimized by simply addressing a few common safety issues in your home. Before you invest in child-safe window coverings, conduct a quick walkthrough of your home to ensure you don’t have furniture pushed up against a window. 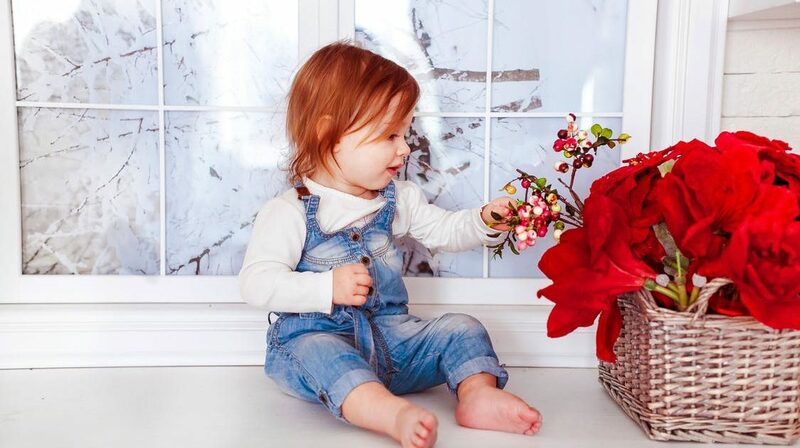 Children can get very curious, and most toddlers love to climb up on sofas, chairs, and ottomans to reach new heights and sights (your windows). 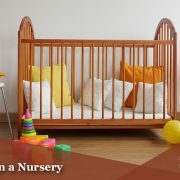 If you notice pieces of furniture that your child could climb on, make sure they are not situated right below a window. 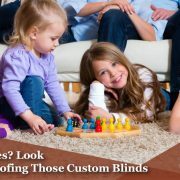 At Arjay’s Window Fashions in Ventura, we’re proud to offer a unique and affordable selection of child-safe window coverings for your home. Whether you’re shopping for cordless cellular shades, faux wood blinds, or decorative curtains, we can help you find the best window treatment for your home. Browse some of our projects online or contact our staff today! While you may feel overwhelmed at the thought of child-proofing every room in your home, keep in mind that these preventative acts are for the safety of your little one. We’ve gathered some of the most common child-proofing methods that you should consider for your home below. Make sure any family photos are put in a safe location. Children are notorious for knocking things over, and if they accidentally hit a picture frame, there’s a good chance it will fall to the floor and shatter. If you’re a lover of candles, make sure to store them in a safe and secure place when you bring your little one home. If you have matches around your home, you’ll want to make sure these are in a secure area as well. It’s very easy for toddlers to accidentally light a match and start a fire. Put up a child safety gate right outside of your kitchen. The last thing you want for your toddler to do is waltz in the kitchen and start pulling out heavy pots and pans or even knives. As you can see, there are a variety of ways to childproof your home. From unplugging your electric appliances to investing in child-safe window blinds, there are many ways to ensure your child is safe and sound in the comfort of your own home. 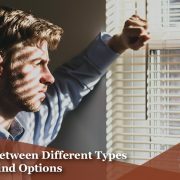 If you need assistance finding the best child-safe window coverings for your home, or you have questions regarding the best blinds and drapes for your home, contact the experts at Arjay’s Window Fashions today. We offer a wonderful selection of child-safe blinds, drapes, shutters, and more! How To Design A Nursery When Should I Replace My Window Treatments?